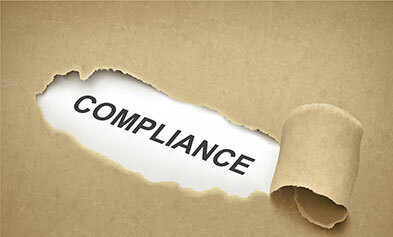 Step 1 in export control compliance – export classifications – should not be hidden to your personnel. Export control classifications are vital to properly applying the Export Administration Regulations (EAR) and International Traffic in Arms Regulations (ITAR.) Is combing through the EAR’s Commerce Control List (CCL) or the ITAR’s United States Munitions List (USML) taking too much of your time? Or does your organization lack the scientific and regulatory knowledge required to determine the Export Control Classification Number (ECCN) or Category in the USML? Our experts can help you. You describe your products, technology, or services and we’ll provide the ECCN classification under the CCL or ITAR classification under the USML. We have determined the export control classification number (ECCN) of thousands of items, including equipment, parts, materials, chemicals, gases, technology, and software, for companies of all sizes. We are knowledgeable in the new 600 series and 500 series ECCNs, as well as ECCNs that use the new term Specially Designed. And if you aren’t sure of the Jurisdiction (i.e. which set of rules your organization needs to follow) for your items, we can help with that, too. Do you know if your export or deemed export transactions fall under the jurisdiction of the U.S. Department of Commerce or the Department of State? Our consultants will determine which government department has jurisdiction over your equipment, materials, software, technology, or technical services. Alternatively, if you interested in obtaining a government ruling on that, we will help prepare a Commodity Jurisdiction (CJ) request – and even submit it on your company’s behalf. Are you struggling to classify that home-grown or modified piece of equipment on the EAR’s Commerce Control List or ITAR’s United States Munitions List? Do your faculty members and researchers need to ship lab equipment or parts outside the U.S. for on-site research? Has your university identified that a project does not fall under the Fundamental Research Exclusion, and now you are struggling to classify the research results? We can help determine the export classification of externally purchased or in-house materials, equipment, and technologies under the various government control lists. We bring the scientific knowledge required to discuss your PI’s research and the technical parameters that might be triggered in the CCL or USML. Once you know the commodity jurisdiction and export classification, the next big question is: what government authorization is required before an export or deemed export takes place and how do you secure the right authorization? We’ll determine if a BIS, DDTC, and/or OFAC export license is required – or figure out if a license exception can be used. Do you have only the occasional need for an export license from BIS, DDTC, or OFAC? Are you re-learning how to use SNAP-R and DTrade each time? Let us end your frustration. We can submit a license on behalf of your university and field all the typical questions from the government officials. We have successfully secured approved licenses for many organizations and understand the type of information that Licensing Officers are seeking in a license application. We’ll help you avoid the dreaded “RWA” that leaves you puzzled, so your company or university faculty can confidently move forward with their research endeavors, global travel, or international shipping — with the necessary license in-hand.